Skerries J1’s travelled to Portlaois Rugby for the 2nd round of the Towns Cup. Even though there were a few changes, Skerries started with great intent. Playing with the breeze at their backs, Skerries took the game to their opponents. Skerries scored 3 first have tries. First one scored by David Goodman and great play by the forwards. Second was made out of a cheeky chip by Billy Mulcahy into space behind Portlaois backs and Milo McCarthy won the race to the line to touch down. The final 3rd try resulted from great forward play laying the foundation for Connor Lennox to go over in the corner. Billy Mulcahy converted all 3 tries. Portlaois scored a try just before half time to leave score 21 – 7. Second half was a far more quiet affair but Skerries continued to take the game to Portlaois. Billy Mulcahy score a penalty to stretch the lead to 24 -7. Portlaois upped the game and were rewarded with a penalty and an unconverted try to leave the score 24 – 15. A great and well deserved win by Skerries. The whole team played with great enthusiasm with some stand out displays from Ben Jenkinson who stole many line outs, Conn Marrey and Trevor Scuffli who marshalled the back row, along with the front row of Ronayne, Leonard and Martin who steady the scrum. Robbie Jenkinson and Billy Mulcahy controlling affairs at 9 &10, while David Goodman had an excellent game on the wing. 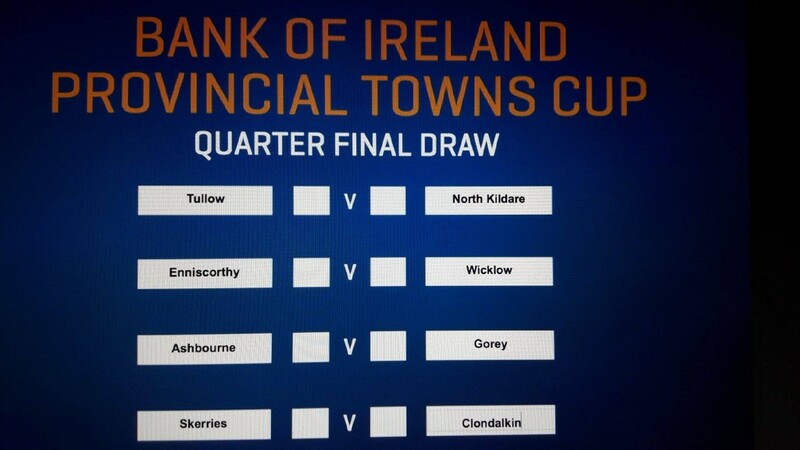 Reward for Skerries is a home quarter tie against Clondalkin.